Note! It’s worth mentioning that our number one goal for the upcoming event is to test the interaction between submarines and surface ships. First of all, we need to receive your feedback about the comfort level of attacking and some other important details and only after testing we will be able to focus on the other gameplay parameters. 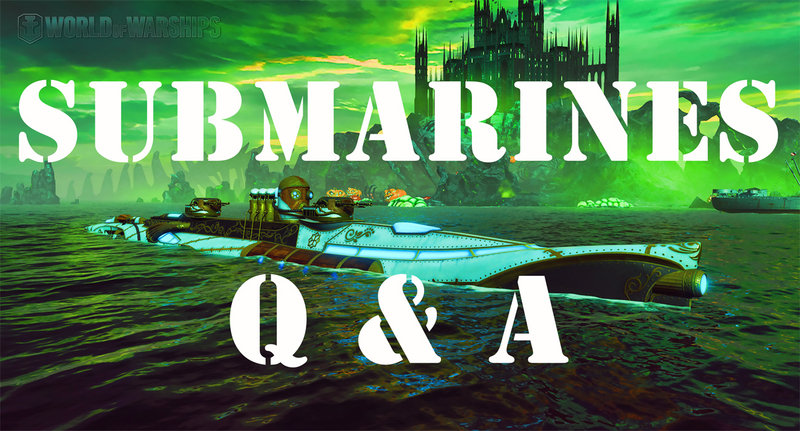 That’s the reason why this Q&A consists of questions dedicated to the Halloween event mechanics. 1. How long can a submarine stay submerged? - From 50 to 100 seconds. This is the time when you can navigate your ship. Moreover, you should also consider the time of the forced surfacing which is not included. On some submarines it could be up to 50 seconds. 2. What will happen if submarine is out of oxygen? - It will be forced to immediately surface. 3. How subs will be detected? - We added the same mechanics as for other ships: you will be spotted by Hydroacoustic Search or being in a guaranteed spotting range. Fortunately, during the operation we turned off catapults' and buildings' detection of subs. 4. Difference between wide and single spread launch? - The main difference is the accuracy. Periscope Mode and Submerged Mode will help you to launch your torpedoes more narrow and Surfaced Mode spreads your torpedoes more. 5. Will going under water help to get rid of fires on a submarine? - No. The fires are internal to the sub. 6. Can shells travel underwater and deal damage to subs? - There are same mechanics as for any other ship class: both AP and HE shells will reach your sub when it's on the surface or in the periscope mode. 7. Torpedoes effective firing range? - Torpedoes can travel for 8 km and deal from 10 000 to 20 000 damage. 8. How can you get a flooding of your sub? - We saved the same mechanics as for any other ships: you may get flooding after torpedoes' hit. 9. Will flooding cause sinking? - Flooding won't cause sinking of your submarine but that will slow it down. 10. Why is Periscope depth considered the most accurate for launching torpedoes? Historically it`s more appropriate for surfacing subs. Also, in surfaced state they are very vulnerable, therefore, when you are on periscope depth you enjoy low vulnerability, but shooting (launching) abilities are somewhat limited. In fully submerged state it means full invisibility, but armaments are impossible to use. - Submarines have a different center of gravity, which affects ship's stability. Waves also interact with subs making it less stable. The сloser to the surface your sub is the wider the scatter of her torpedoes. Undoubtedly, different submergence levels (surface/periscope/depth) have their advantages and disadvantages. That's why we didn't aim to create similar conditions for every situation, but went for a variety of battle scenarios that would provoke unusual strategies and non-linear maneuvers. 11. What is the maximum dive depth for submarines? - The maximum dive depth is 160 metres. 12. Are there any plans to apply damage to subs colliding with islands / underwater items? - No, it's going to be the same as for other ships - no damage colliding with islands, but if your enemy rams you, there is almost no chance to survive. 13. If fires are internal, do they affect the oxygen storage? - During the event fires won't affect oxygen storage. 14. Will submarines interact with undersea monsters? - Nope, the monsters are just for eye candy (and fear). 15. Which classes/types of ships will receive depth charges? 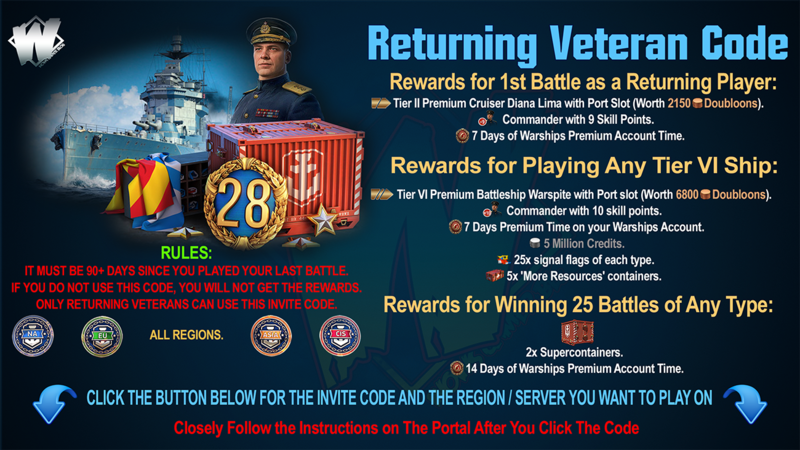 - Before starting the operation you will receive a special message where you can find out which ships have depth charges. Beware of ballistas too. They also have depth charges. 17. Are torpedoes the only weapon for submarines? - Yes, they are, but during the event you will also have secondary armament. For example, there are 4x130 mm guns on Barracuda with increased chance to cause fire. 18. Why did you tell us that you didn't have any plans for subs? - Because it was true - until fairly recently we did not have any fixed plans of introducing submarines. We always wanted to have submarines eventually, because being naval warfare enthusiasts we are naturally also fans of submarines. We'd always told the community they did not fit into World of Warships, because we did not have a good concept of how to make them fit without breaking things. However, in live operations as well as in life, we need to adapt our plans as time goes by and opportunities arise. We simply reached a stage where we had enough ideas to be able to form a cohesive vision of their introduction into the overall gameplay. 19. It looks like there are too many torpedoes in the game already and you add subs! - We don't add subs directly to the game. Now we test them and we would genuinely appreciate your feedback to continue our work on this class. It's also worth mentioning that in comparison with other ships subs are able to launch only one torpedo at a time with a delay before the next launch and overall the number of submarine tubes is lower. 20. Why did you decide to add a new class? Have you already run out of the content? 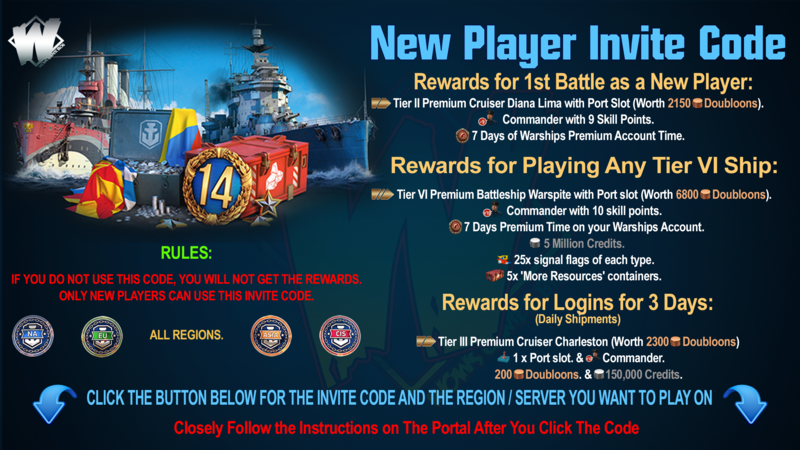 - As you all know, the actual world of warships is not limited by the things we already have in our game. Nevertheless, we would like to not just support our current ships classes but also add something new to the gameplay. Our number one goal is to make an interesting and thrilling gameplay that's why having something fresh and new is so important. 21. Do you think it's the best time to add subs whilst CV's have been reworked as well? - We can't argue with the fact that these two tasks are significant and extensive for our game. At the same time we are happy that our team is big and experienced enough to deal even with the most challenging missions. Two different groups of devs have been working on these goals and both of them are supported equally in creation of a high-quality result. We hope that you will enjoy the fruits of our labor and like our new implementations into the gameplay.